St. Paddy’s Day Flavors are Now Available!! 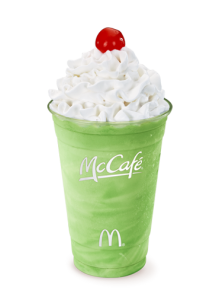 I’ve been waiting all year to offer my mouth-watering St. Patrick’s Day flavors! 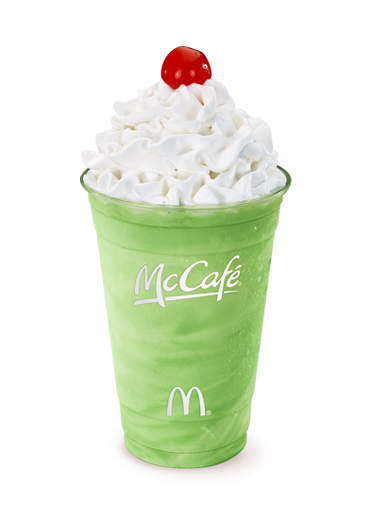 My favorite of all, Shamrock Shake, is inspired by the McDonald’s Shamrock Shake. 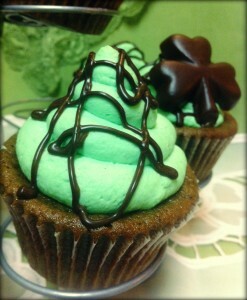 It is a creamy mint cupcake with minty, malted buttercream and whipped cream frosting. YUMMY! Next, we have the boozy cupcakes: Chocolate Stout and Irish Cream! Chocolate Stout is a moist and decadent chocolate cupcake infused with stout beer, topped with rich chocolate buttercream. Chocolate lovers will be in heaven! 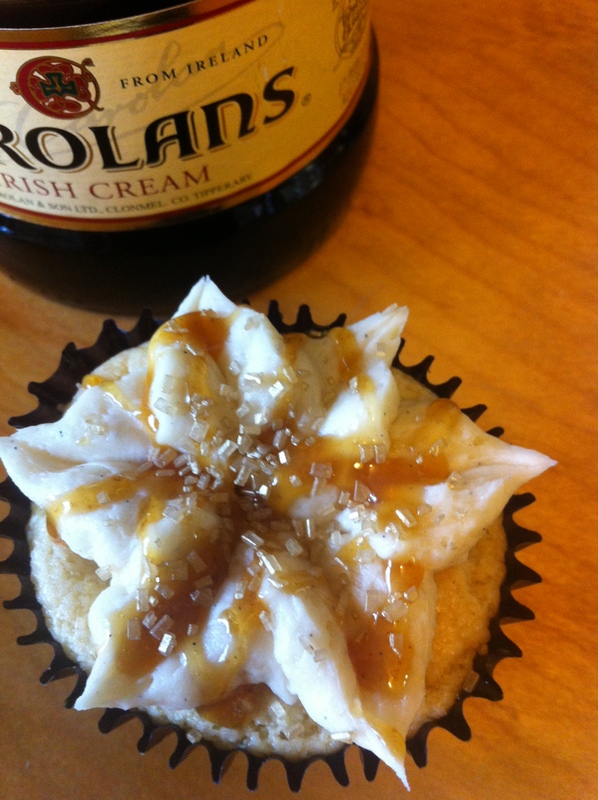 Just like a shot of Irish Cream, the Irish Cream cupcake is sweet and flavorful, with Irish Cream in the cupcake AND the buttercream. 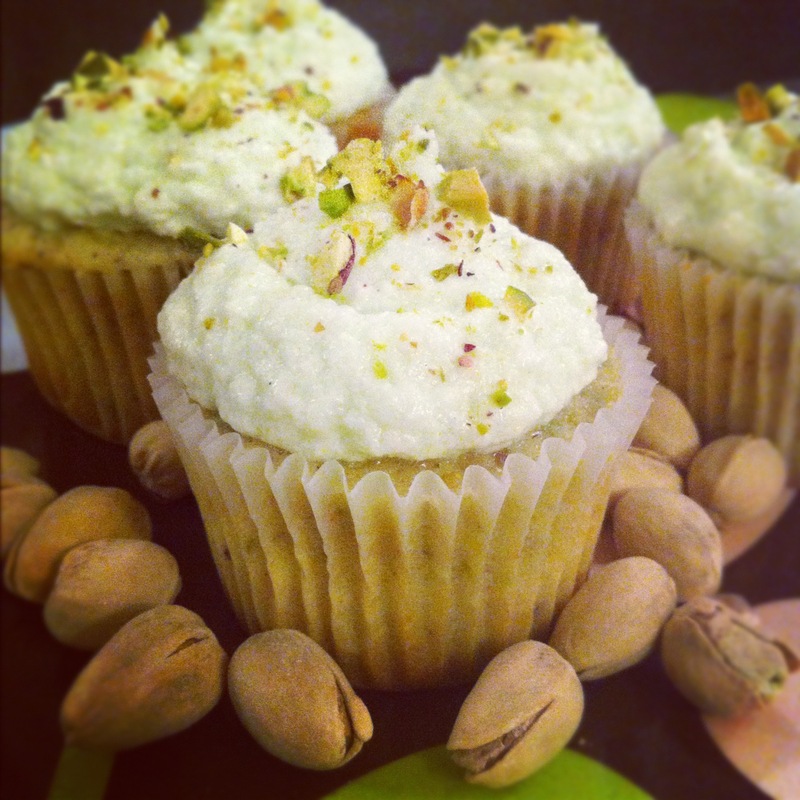 Pistachio is a bit of a nut. A nutty pistachio cupcake topped with light and fluffy pistachio whipped cream cheese frosting and chopped pistachios. 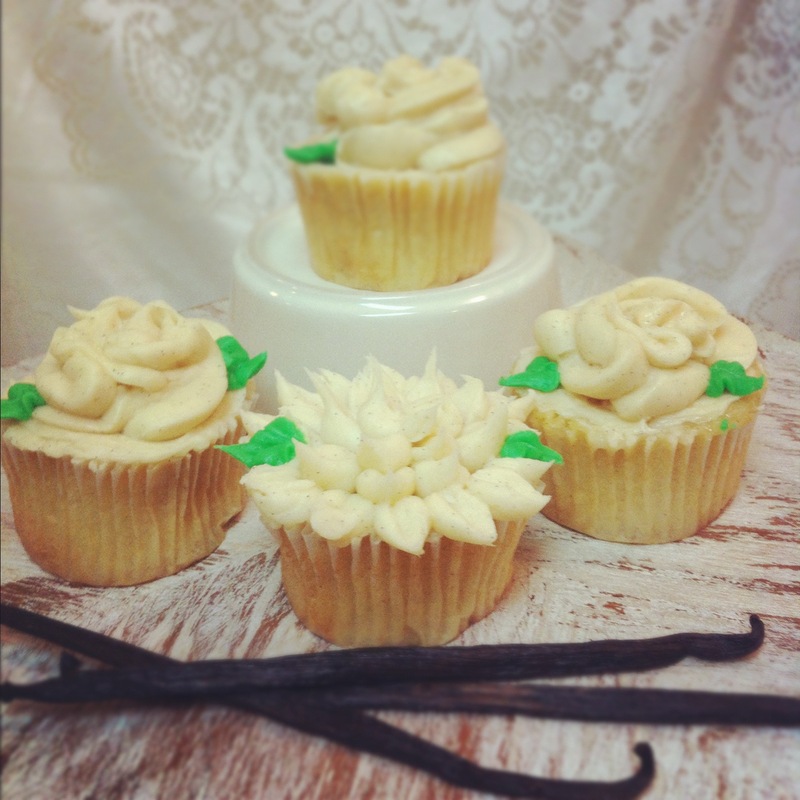 Last but definitely not least, classic and simple, the Celtic Faerie is a vanilla bean cupcake, filled with green-tinted vanilla bean custard. Topped with a vanilla buttercream flower, green leaves, green sanding sugar and edible glitter, this cupcake is a delicate and dainty way to celebrate the occasion! 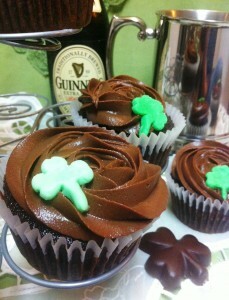 We will also be offering mini cupcakes for St. Patrick’s Day! Available in increments of two dozen, an assortment of vanilla and chocolate mini cupcakes with festive green frosting and decorations can be pre-ordered for your holiday parties! Call (360) 350-0332 to order! « THANK YOU to all our Customers at our New Shop! !